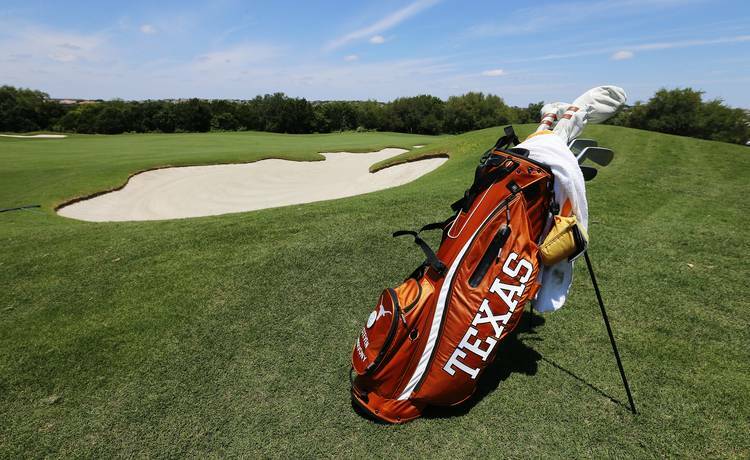 The Longhorns golf team took three wins to top Kansas State 3-2-1 at the Big 12 Match Play Tournament in Houston Saturday. Pierceson Coody, Parker Coody and Steven Chervony each won while Spencer Soosman finished all square. Chervony defeated Roland Massimino 4 and 2 while Pierceson Coody won 4 and 2 over Will Hopkins and Parker Coody won 3 and 2 over Ben Fernandez. Texas will next face Oklahoma at 8 a.m. Sunday. The top team in Pool A will face the top team of Pool B for the championship in the afternoon. Cole Hammer won twice to lead Texas Friday. Hammer topped Ryan Grider of Baylor 1 up before defeating Frank Lindwall of Iowa State 3 and 2. Despite Hammer’s win over Grider, Baylor won the morning match 3-1-2. Soosman and Pierceson Coody managed to finish the match all square, but three other Longhorns lost. The Longhorns took the afternoon match against Iowa State, 3-2-1. Parker Coody beat Ricky Costello 2 up while Drew Jones topped Jackson Kalz 3 and 2. Pierceson Coody finished his match all square.